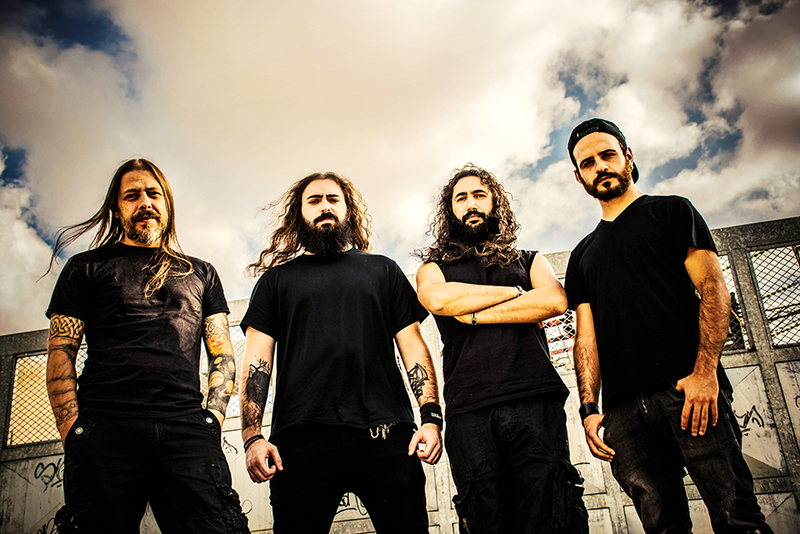 Formed in 2013 by guitarist Antonio Poletti and drummer Claudio Testini, who were joined several months later by vocalist Andrea Di Traglia, DECEPTIONIST dispatches a technical breed of death metal heavily integrated with mechanical flair and industrialized elements. Recorded and produced at Outersounds Studios by Giuseppe Orlando, the band’s three-song 2014-released demo was immediately ravenously consumed by fans and media sources alike, with excellent reviews sourced from Europe, North American and beyond. September 2014 saw the induction of second guitarist Fabio Bartoletti (ex-Hideous Divinity), just before the band would begin taking the music to the fans live, while beginning to culminate material for their first album. DECEPTIONIST signed with Unique Leader Records on the beginning of 2015 and immediately invaded to the studio. Comments the band: “We’re really proud and excited to be part of the Unique Leader family. This label played a huge part in the death metal scene during the years and it’s absolutely the best label nowadays when it comes to brutal and technical death metal, that’s why we have no doubt Unique Leader is what fits best our sound!” Returning to Giuseppe Orlando’s Outersound Studios, DECEPTIONIST captured ten tracks which would become their debut album, Initializing Irreversible Process. The band utilized the talents of Stefano Franceschini on bass duties for the whole album, and brought in Enrico H. Di Lorenzo as guest vocalist on “Through The Veil,” both members of labelmates Hideous Divinity. To the band, death metal is the most complete genre in metal; impulsive, feral, emotional, somehow primitive, yet so calculated, logical, experimental sometimes. The collective pushed heavily forward in the realms of technicality and speed, while simultaneously remaining loyal to our root elements: groove, brutality, catchiness. Their use of sampling blends seamlessly with harsh guitar riffs, the lyrical content dealing with the relationship between humans and machines in a not-too-distant future world where men and women will live only to serve artificial masters.